Are you a parent or a caregiver of little ones aged 0 to 5 years? Looking for a fun place to bring the kiddos, especially when the weather is poor? Bring them to the Jumper’s Jungle Family Fun Center! 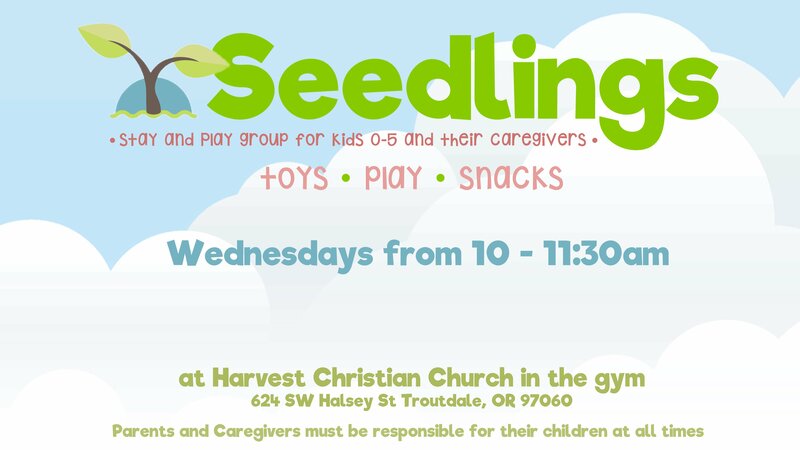 Join us at Harvest Christian Church on Wednesdays from 10 am to 11:30 am in the gymnasium for a time of fun and play. Let the little ones run around, get some energy out, and make new friends. Snacks for the kids and refreshments for the adults will be provided. This play group is open to the community. All are welcome. Parents and Caregivers must be responsible for their children at all times.